If necessity is the mother of invention, who is the father? While need creates awareness of problems to be solved, it is only through creative collaboration that ideas are brought to fruition. In response to the popular shift in many industries toward location-independence (specifically, tech, design, and the startup world), a new professional subculture is helping reshape the way we think about traditional work environments. This shift is catalyzing collaboration by offering people access to new networks and ideas. Across the board, the advent of co-working spaces around the world is helping make location-independent workers happier and more productive. While the idea of remote work or working from home sounds idyllic to many, the reality is that these individuals need to be able to focus and produce just like any other professional. Logistics aside, these individuals still need work environments conducive to success. Because the majority of remote workers are in entrepreneurial or creative industries, the ability to collaborate and network can be their most valuable resource. This is one of the biggest catalysts for the birth and success of co-working spaces. Increasingly available in major cities around the world, co-working spaces are being created for professionals who value interactive and dynamic work environments. These spaces offer chance encounters and networking opportunities for people who understand the value that entrepreneurial environments add. They also offer a host of resources and communities, such as networking websites and telecommuting technologies. The Millennial workforce especially values the ability to work remotely because it matches their lifestyle. The appeal of new environments, new people, and the opportunity for collaboration are what draw many professionals out of the cubicle and into the co-working world. For many who work remotely, co-working spaces are key to the success of this lifestyle. The cafe and coffee shop work scene has certainly grown immensely, but the loud music, lack of outlets and purely social nature of many coffee shops make them less-than-ideal for most professionals who are truly trying to focus and produce results. Not to mention that many coffee shops can’t really afford patrons whose daily rent may be the equivalent of a cup of coffee! For innovators, creatives and entrepreneurs, stimulation and co-creation are important for success. 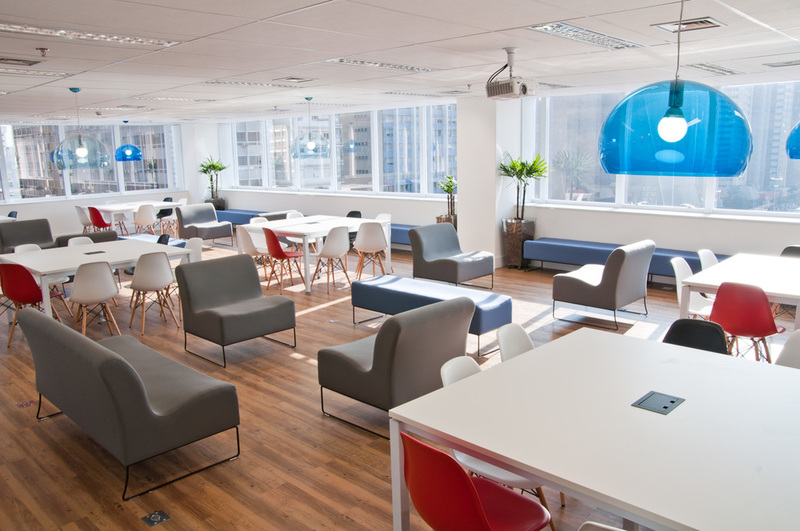 Check out some of our favorite examples of co-working spaces around the world that are making an impact and providing unique services to their patrons. Our list is meant to provide insight into the wide spectrum of Co-working spaces available today which vary in aesthetics, business model, and type of worker they attract. Livit describes itself as a “tech startup ecosystem” with a big vision whose model includes co-working and co-living opportunities in various locations around the world, with the ‘headquarters’ located in Bali. Organized around the core principle of creative collaboration, Livit brings entrepreneurs together in a retreat-style incubator, allowing teams to immerse themselves in a productive environment, with a strong network of like-minded, passionate people. What sets Livit apart from other models is the availability of specialists to support startups within areas of productivity and execution such as: PR, communications, online marketing, growth hacking, graphic design, programming, and software testing. The Surf Office makes its intentions clear by its name alone. They provide community-driven workspaces and accommodation to travelers and digital nomads who share a passion for surfing. Their website allows people to browse options in their two reasonably-priced locations: Portugal and the Canary Islands. With accommodation comes high speed WiFi, some handy tech for meetings and presentations, and various networking events. Soho House in London, a high-end private members club for people in the creative industries, with worldwide locations. More than just a co-working space, their network also offers offers lodging, restaurants and spas and event spaces for rent to the members. They also have and “Under 27” membership for people under 27 years of age specifically. 1776 has taken the co-working model to the next level, having established themselves as a global incubator and seed fund, dedicated to helping startups that are primarily focused on education. It is a membership-based resource to help startups connect with networks of experts, innovators and investors. They host a number of events including their biggie: The annual “Challenge Cup” which is an international competition for startups to gain serious traction. Even though the coworking movement traditionally serves freelancers, entrepreneurs, and the tech industry, it’s increasingly relevant for a broader range of people and organizations. An increasing number of companies are incorporating coworking into their business strategies. The bottom line is that increasing numbers of workers are finding that the combination of having autonomy AND community is a formula for success. The creative implications of collaborative co-working environments are immense, and we are likely to see exponential growth of this trend in coming years.